A search on diabetes.co.uk revealed that the low carb success stories on the site had over 81,000 views. “That reflects a level of popularity that was just being ignored by official sources,” he said. It still is. Since then he’s run a small pilot study with 19 type 2 diabetic patients from the practice who were following the low carb diet, which was published last year. He calls the results “hugely promising’ and writes about them below. The process of researching the diet and discussing it with his patients has had a big impact on Dr Unwin’s practice and had his team as finalists in the 2014 BMJ (British Medical Journal) diabetes team of the year. He’s now is so proactive on the diet front that he is not only on the low carb high fat diet himself, along with several other members of his team, but he attends regular sessions where his dieting patients share their successes and swap tips. ‘The big topic last week was Christmas and how to stop it turning into a high carb sugar fest and a weight gain disaster. There follows an abstract and also the diet sheet we are still using; the full article can be accessed here. I am not a diabetic but have been on the diet for about two years now. I started it as a gesture of support for my patients but find I am more alert and need less sleep on it. Surprisingly it seems to help me run faster too! I recently finished a 10 K road run in less than 46 minutes, my best time for years. Another surprise was that the results of a test for fatty liver disease showed that the risk had dropped. The conventional explanation for an increased level is drinking too much.. The fact it dropped when carbohydrates were reduced suggested they might well be contributing to the problem. I’m working on a paper on this at the moment. Diabetics have long been exhorted to give up sugar and encouraged to take in complex carbohydrate in the form of the starch found in bread and pasta (especially if ‘wholemeal’). In fact bread should be seen as concentrated sugar which explains why it has a higher glycaemic index than table sugar itself. As there are no essential nutrients in starchy foods and diabetics struggle to deal with the glycaemic load they bring, we question why they need form a major part of their diet at all. The recent increase in screening in general practice along with epidemic of ‘central obesity’ is revealing large numbers of pre-diabetics and diabetics (diabesity). At a time when there are questions about drug safety, which diet is best is of particular importance. Many patients are already experimenting with the ‘low carb’ approach as it is so widely advocated on the internet. We wanted to see how effective and well tolerated it was. A series of 19 type 2 diabetics and pre-diabetics volunteered to go on a low carbohydrate diet backed up with ten minute one-to-one sessions with a GP or practice nurse, and regular group education. After 7 months only one had dropped out, of the rest all had significant weight loss (average 8.63 Kg) and the average HbA1c was down from 50.68 to 39.9. Despite the higher fat intake on this diet the cholesterol dropped and liver function improved for nearly all participants. We conclude this approach is easy to implement, brings rapid weight loss and improvement in HbA1c using a diet that the great majority of patients find easy to live with. The following diet sheet was used in my practice with all patients who agreed to take part – always check a new diet out with your doctor to ensure it’s safe. So what should I eat to control my weight? Reduce starchy carbs a lot (remember they are just concentrated sugar). If possible cut out the ‘White Stuff’ like bread, pasta, rice – though porridge, new potatoes and oat cakes in moderation may be fine. Sugar – cut it out altogether, although it will be in the blueberries, strawberries and raspberries you are allowed to eat freely. Cakes and biscuits are a mixture of sugar and starch that make it almost impossible to avoid food cravings; they just make you hungrier!! All green veg/salads are fine – eat as much as you can. So that you still eat a good big dinner try substituting veg such as broccoli, courgettes or green beans for your mash, pasta or rice – still covering them with your gravy, Bolognese or curry! Tip: try home-made soup – it can be taken to work for lunch and microwaved. Mushrooms, tomatoes, and onions can be included in this. Fruit is trickier; some have too much sugar in and can set those carb cravings off. All berries are great and can be eaten freely; blueberries, raspberries, strawberries, apples and pears too, but not tropical fruits like bananas, oranges, grapes, mangoes or pineapples. Proteins such as in meat, eggs, fish – particularly oily fish such as salmon, mackerel or tuna are fine and can be eaten freely. Plain full fat yoghurt makes a good breakfast with the berries. Processed meats such as bacon, ham, sausages or salami are not as healthy and should only be eaten in moderation. Fats (yes, fats can be fine in moderation): olive oil is very useful, butter may be tastier than margarine and could be better for you! Coconut oil is great for stir fries. Four essential vitamins A, D, E and K are only found in some fats or oils. Please avoid margarine, corn oil and vegetable oil. Beware ‘low fat’ foods. They often have sugar or sweeteners added to make them palatable. Full fat mayonnaise and pesto are definitely on!! Cheese: in moderation – it’s a very calorific mixture of fat, and protein. Snacks: avoid. But un-salted nuts such as almonds or walnuts are great to stave off hunger. The occasional treat of strong dark chocolate 70% or more in small quantity is allowed. Finally, about sweeteners and what to drink – sweeteners have been proven to tease your brain into being even more hungry making weight loss almost impossible – drink tea, coffee, and water or herb teas. I’m afraid alcoholic drinks are full of carbohydrate – for example, beer is almost ‘liquid toast’ hence the beer belly!! Perhaps the odd glass of red wine wouldn’t be too bad if it doesn’t make you get hungry afterwards – or just plain water with a slice of lemon. Dr David Unwin is the senior partner of a Merseyside GP practice where he has worked since 1986. He has been elected a fellow of the RCGP for services to GP training and designing his own ear-wax curette! Interested in the role of hope in the consultation and helping patients avoid unnecessary medication, he advocates working with people not lecturing them. Interesting article but no big surprise for low carb, real fooders. Not sure whether restricting cheese is necessary. It’s carbs that need to be restricted. Low carb eating promotes satiety and appetite reduction naturally. High fat low carb foods do not need to be restricted, that will happen on it’s own. Putting someone on a high fat diet and then restricting the fat just sets them up for long term failure and also restricts variety. Half an hour of walking a day and a few minutes of high intensity interval training a week and i’m sure the positive results would be amplified. Yes we must rejoice that someone who treats diabetics has decided to restrict the one macro nutrient they can no longer metabolise or tolerate. The recent ABC broadcast (Australia) Catalyst program on low carbohydrate diets had a very interesting interview with an endocrinologist who displayed a typical hospital breakfast for a diabetic patient, I think it equalled fourteen teaspoons of sugar. She was talking about how simple changes (take out the juice, and the cereal and replace with two eggs for example) would help a lot. It reminded me how, when I used to work in Public Health with indigenous populations spreading the health promotion ‘low fat’ message to diabetics, (our resources came from Heart Foundation and Diabetes foundation), that we actually increased their carbohydrate intake and therefore their insulin problem and therefore their risk of heart disease because of the ‘assumption’ that fat caused heart disease, diabetics were more susceptible, therefore lower the fat’. Did anyone question the higher carbohydrate? No. What I love about this site and the conversations is that it shows people are thinking and critiquing the mainstream ‘passed down’ dogma about the fat equals death hypothesis. There is still a long way to go, the carbohydrates are still bottom of the food pyramid, even though there is no human requirement for them at all. The biggest problem facing western nations is the affordability of food, and unfortunately, socioeconomic associations with poorer health are related to the affordability of good quality vegetables and proteins. A fat tax is now being thrown around as a solution to the childhood obesity crisis in Australia, but the evidence is that it is NOT fat, but those stupid processed lunch box treats and sugary cereals and soft drinks and cheap low quality carbohydrates. It’s not the meat patty in the burger that is the problem, but the buns and mayo and the chips, in other words. SUGAR. A colleague who is a forward thinking (independent) dietician lamented about the poor advice her patients would get from their GP’s and were confused and unsure by the time she saw them, some even concerned about eating fruit and nuts. I recently saw an article in Medscape on beetroot lowering blood pressure. the study was about the juice, the juice is high sugar, but the nitrates were the ingredient that did the work. So, comments included the high sugar problem, but no one thought to suggest that just eating beetroot, grated, on a salad might work. It does. The best doctor is one who can critique and think. Medicine is a science, but it is also an art. It involves thinking. Well, it used to. This site gives me hope that critical thinking is still possible. Jean thanks so much for telling us about this documentary its the best I have seen to date on the low-carb approach. Of course I am biased as they mention my work in the credits!! Its difficult to escape the fact that starch is concentrated sugar! It is also interesting that it would seem that on this issue, the patients are leading the doctors correct their ideas! I really hope the medical profession are forced to face up to the way bad advice has been peddled for decades even though the evidence pointed another way. Ancel Key’s fraudulent graph was exposed not long after it was published – so why are most people given advice based on that fraud? I think we need science journalists who know enough to explore subjects like this until they expose the real damage that wrong advice – imposed from the top – and dangerous drugs, such as statins, are doing to people. If science journalists knew enough to ask awkward questions when interviewing medical scientists, perhaps we could return to common sense. I have found its far more powerful to discuss how patients may have a better future than threaten dire consequences of not following my advice. Particularly when this is followed up by encouragement to reflect on how their lives feel better with weight loss and a healthy diet. I think this is great stuff.far better to tell people what they can eat than banning everything in sight! Dr unwin,can you tell us what meats we can eat?beef,steak,lamb..are they ok in moderation of course .we tend to eat chicken once a week then beef once a month etc.i am presuming plaice,sea bass,salmon squid,prawns etc are ok.
Ian you may be correct about the cheese -certainly there isn’t much carbohydrate in it. I think it depends on if you are happy that you have lost enough weight, and that your weight is steady. I wish more doctors would give patients the choice of dietary control as an alternative to metformin for a while and see how it goes. Certainly I have been delighted with what patients can achieve when diet is properly understood and more frequent follow up offered. This implies that by eating or avoiding “caloric food” — food high in calories — one can gain or lose weight. My experience is this is not true. In fact, I eat as much fat (the high caloric food) as possible, and yet continue to lose weight. I honestly don’t think it’s possible to gain weight by eating fat. Also, I still drink infrequently, but only mixed drinks with no sweeteners of any type, wine, or hard liquor. Liquor is preferentially burnt, however, so you have to be careful with it if you’re trying to lose weight. Finally, I still eat prepared foods such as sausage and even smoked, processed meats. The evidence against these is epidemiological, and that’s how we got started on the failed high carbohydrate, avoid-fat-at-all-costs diet. While I don’t frequently eat these, sometimes they’re helpful to eat, especially for snacks. My partners and I advise on a low carb high fat diet for all interested patients including diabetics. We started doing this in July 2014, after 2 of our doctors did it themselves. There are now 3 doctors and 2 nurses and numerous patients following the programme. You can see our advice on http://www.padgatemedicalcentre.co.uk, under clinics and services and lifestyle plan. As you have been doing it for a lot longer than we have, I would appreciate any advice you may offer. We have never been challenged for instance. This is great news Joanne. Until you made contact I was only aware of four practices in the UK where patients with type two diabetes could choose a low carb option for weight loss. Though there are rumours of more taking it up. Our original study was a few months in about 18 patients -this enabled us to bid for a small CCG grant to roll the option out- so we now have a patient cohort of nearly 40 diabetics on the diet for an average of 16 months- still showing similar improvements in HbA1c, weight, cholesterol and BP to what was found in the pilot study. The best bit is the evident pride my patients take in what they have achieved. Have many of your patients mentioned greater clarity of thought and more energy? is what you propose for type 2 diabetics who do not have a weight problem (I am 5’10 and weigh 11 stone)? I cannot lose any more weight so what should I eat? I have come off insulin (no more hypos!) and now take Victoza and Glimpiride but, I still struggle to keep my A1C below 126 MG/DL. I exercise four times a week for 45 mins. I live in mid-Essex. Is their an adviser in the area? You don’t necessarily lose weight and you certainly won’t vanish into thin air on this diet. I’ve been doing it for about 2 years now and my weight has stayed essentially the same. I would have liked to lose 10 pounds or so, but it seems my body is happy the way it is [no additional exercise]. Just eat real food, cut everything out that turns into sugar one way or another and you should be good. There is so much good food out there, no need for carbage. Not sure how cheese would make you put on weight tho? Can you explain. To my knowledge there is little insulin response from eating high fat…. I eat loads (also low carb ) and am a skinny Malink 56yr old woman. Yes, LCHF is the only way forward and this I know as a diabetic, like many others on http://www.forums.dlife.in/ on this diet. Medical reports keep surprising the doctors, but they still don’t desist from parroting the broken ADA guidelines. ADA’s guidelines protect the money of drug industry and not the diabetics. Also His take on low sugar fruit is wrong, Apples are one of the highest, in fructose as well as glucose, Oranges is 1 of the lowest. go here for a a link….http://www.sparkpeople.com/blog/blog.asp?post=how_much_sugar_is_in_your_favorite_fruit Still great that he has seen fit to about face and do the right thing by his patients, unlike 90% out in the world, just drug dispensaries. I totally agree – doctors like David Unwin and Malcolm Kendrick are clearly sticking their necks out even at some risk to their own careers. I hope many more will join them! Their cholesterols have dropped because of increased fat intake, not despite of. That’s because they’re burning fat. Very interesting article. Indeed, like Ian above, not convinced by the need to restrict cheese (which usually contains no carbohydrates). A couple of days ago, Australian broadcaster ABC’s Catalyst series had a special edition about ‘Low carb diet: fat or fiction’. It includes the example of someone who has reversed Type 2 diabetes on a low carb diet. See http://www.abc.net.au/catalyst/stories/4126228.htm . In case the video doesn’t play, I see it has been posted on YouTube: https://www.youtube.com/watch?v=7WNqUbDbVqE . As you may have seen from my post a few weeks ago, dementia seems likely to be caused by glucose resistance of brain cells and is increasingly regarded as Type 3 diabetes. 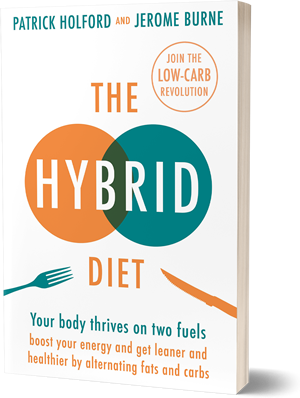 We have been giving my father a low carb high fat diet, which is recommended by neurologist Dr David Perlmutter and others. I have been fascinated by the latter-day obsession of many medical professionals with cholesterol levels and fat in connection with heart disease. A few months ago, investigative journalist Nina Teicholz published the results of spending the past 10 years reading all the scientific papers on diets and heart disease in her book Big Fat Surprise. Every doctor should read it and discover how flimsy the evidence is that eating saturated fat and high cholesterol levels have any connection (let alone a causal relationship) with heart disease. The original ‘evidence’ [Seven Countries Study - Ancel Keys, 1958-1964] relies essentially on studying the diets of 33 statistically insignificant men in post-war Crete during Lent … in a study which picked specifically those countries which fitted the hypothesis – otherwise known as a biased sample (or, less generously, statistical fraud). Among the things I learned from her book, Pete Ahrens of Rockefeller University had established in the 1950s and 1960s that eating carbohydrates raised triglyceride levels. He also found that high triglyceride levels were far more common than high cholesterol in coronary patients. As a result, he and Margaret Albrink of Yale University concluded that high triglyceride levels were a better indicator of heart disease than cholesterol levels. High triglycerides are also found in diabetics. So I’m wondering why GPs don’t focus their attention on testing triglyceride levels, rather than cholesterol levels? 2-the rather passive idea of ‘a pill for every ill’ Doctors and patients are equally complicit in this and what an industry it has spawned ! Indeed, as you can see in our film You must be nuts!, that was more or less my conclusion after looking into what had caused and how best to treat my father’s dementia. Another factor (which is why I sadly no longer hope for any large-scale clinical trials about the low carb diet, diabetes and/or dementia), is that even publicly-funded research seems to be channeled into commercial research. Even when a study into a non-pharmaceutical treatment is done, the underlying objective may be simply to pour cold water on the idea that such a treatment might actually work. The population statistics over the past 30 years speak for themselves. During this period of heavily promoting the low fat diet, the proportion of refined carbohydrates in our diets increased. See http://authoritynutrition.com/6-graphs-the-war-on-fat-was-a-mistake/ for the consequences . Dr John Briffa wrote a couple of years ago about how doctors struggling to reconcile national dietary and medical guidance with physiology may end up giving their diabetes patients worse advice than they can find online: http://www.drbriffa.com/2012/10/02/diabetic-transforms-his-health-with-a-low-carb-diet-and-his-doctor-urges-him-to-eat-more-carbs/ . So, by listening to how your patients respond to a low carbohydrate diet, I think you are doing something really ground-breaking. Good luck with your paper! Would it be reasonable to add a fourth item to your list – obsession with restricting sodium in the diet? Like many others here (I suspect), I became interested in bad health advice after a narrow escape from statins (muscle cramps), and also the raised blood sugar that is one of their side effects! It was while visiting a dietician for this, that I became puzzled by the advice to swap fat for carbs. You don’t need to know much chemistry to realise that doesn’t make much sense! Cholesterol is probably the worst marker. Your LDL could be high and you could be at no risk and low and you could be in peril. Best in that line is particle count of LDL particles. LDL is of course not cholesterol but a lipoprotein that carries cholesterol and triglycerides. If your trigs go up , it makes your body produces MORE particles and these are bad. But the really good other markers are HbA1c, fasting insulin level, and various ratios of Trigs, HDL, etc, as well as hypertension, age, smoking.. Still going on about calories! I started low carbing 6 months ago. Have lost 4 stone and reduced my Hba1c from 66 to 33, my lipids are perfect Calories don’t matter on a low carb diet. I also eat salted nuts. You need more salt on a low carb diet to avoid the cramps. Insulin causes sodium retention. I eat loads of cheese. I don’t restrict fat either. There is still this fat-phobia around. A good article. Getting there, but not the full picture. And still held back by fat myths. You are probably correct that it’s not the full picture but even as it stands it’s made some folk (mainly dieticians ) very worried. It has it’s dangers if one is too mavericky in the NHS A lot of quite important people confuse guidelines with rules ! Also to be fair I,m not aware of any studies that have taken the low carb thing beyond 44 months though I am aware of individuals who have. I try and champion the idea of dietary choice for patients as its safer ground. “Insulin’s impact on renal sodium transport and blood pressure in health, obesity, and diabetes” – Swasti Tiwari et al. WELL I obviously have a lot to learn but of course sodium is part of salt (sodium chloride)of which in connection with hypertension-causation much has been said over the years. How interesting if higher levels of insulin lead to sodium (salt retention) this when reversed by the low carb diet could explain the lower blood pressures in my patients and also conversely the considerable water retention that I have noticed when I cheat on the carbs on holiday! What a breath of fresh air you are DR David Unwin, willing to listen to us ordinary people out here, as we go on our low carb search. Even though I am convinced that low fat is th wrong way to go, it has been planted in our concious, so that we still can have fears, what if low fat is right and I am killing myself. So good to see that you are getting positive results, it gives me confidence and hope, that we are on the right track. cheers. Here’s another interesting paper about sufficient / optimal salt intake, especially important on low-carb diets. Going too low with sodium is not a good idea. There is a Goldilocks zone, and it is not at the very low end. The body tries to compensate low-sodium conditions by jacking up several hormones that constrict blood vessels (https://en.wikipedia.org/wiki/Renin%E2%80%93angiotensin_system). Nobody really knows what that does long-term. Adrenalin may go up too. Most people do not need more adrenaline in their blood all the time. Some of these hormone-levels triple on a low-salt diet. Chronically low sodium can also increase insulin resistance. Not a good idea if you adhere to a low-fat high-carb and low-salt diet. Many thanks for the explanation. You reminded me about this post a few months ago by Dr Malcolm Kendrick: http://drmalcolmkendrick.org/2014/05/13/salt-is-good-for-you/ . It would be great to read an article on the dangers/benefits of salt on this forum! It isn’t that I don’t believe Dr Kendrick – far from it – but it is nice to get confirmation from several sources when several pieces of established medical advice now seem to have been plain wrong! I mean I find myself getting older (65) and no longer taking a statin (long story) consuming more saturated fat, and not bothering much about salt any more! All I do now to keep well, is exercise and avoid sugar (more or less). Refreshing to see another doctor willing to challenge the company line. Having just lost my understanding GP to well deserved retirement I’m now hunting around for another that understands the way I manage my diabetes. This is not just a way forward for Type 2′s incidentally. I’m a type 1.5 (LADA) who has managed to come off his Bolus insulin and reduce his basal considerably as a result of a (fairly strict) low carb diet. Management on a basal only regime is far easier. Have your read Dr Richard Bernstein’s Diabetes Solution? It could help you manage your diabetes better with a Lchf approach. We GPs are just learning about this new approach. We are in Padgate, Warrington Cheshire. Thanks to this post by Dr Verner Wheelock, I’ve learned that Dr Jay Wortman in Canada tackled his own Type 2 diabetes with a low carb, high fat diet … some years ago: http://vernerwheelock.com/?p=652 . There are more details about his approach and the subsequent pilot study funded by Health Canada of whether increased carbohydrate consumption compared to their traditional diet may have caused the diabetes epidemic among Aboriginal populations: http://www.drjaywortman.com/blog/wordpress/about/ . Note that some of the top names in nutritional science research were involved, including Dr Eric Westman, Dr Steve Phinney and Dr Walter Willett. The 45-minute CBC documentary ‘My big fat diet’ (2008) tells the story of the impact of the study on the people of the Namgis First Nation and other residents of Alert Bay: http://youtu.be/Vm3H_s7fXtQ . Note also a response on Dr Wortman’s from Dan Brown, who blogged about the results of an experiment done on the Inuit diet by Canadian ethnologist Vilhjallmur Stefansson in 1930 (which was also mentioned by Nina Teicholz in her book Big Fat Surprise): http://www.thenutritiondebate.com/2012/07/the-nutrition-debate-61-stefansson-and_29.html . If carbohydrates are a problem for people with T2DM, how do you explain Walter Kempner’s rice diet (~94%E from carbohydrate, ~4%E from protein & ~2%E from fat), which resulted in weight loss, reversal of T2DM and reversal of other medical conditions, including hypertension? Interesting. I suspect the boring answer is that there isn’t any one-size-fits-all diet which is the beginning of the quarrel many people have with the standard DiabetesUK approach.A more sophisticated approach would be to investigate these and other ones and encourage people to experiment. Something that, it seems to me, makes diabetes a potentially easier condition to treat than some other metabolic conditions is that you can test the results you are getting quickly and easily. So why not try a rice diet, try a low carb one and see which works best and balance that against what is most palatable for you? I appreciate I am not drawing up national guidelines but doing what works seems a sensible strategy. I suspect, with increasingly easy monitoring and with rise of internet help groups, that is what people will be doing. The NHS with its guidelines has been compared to a command economy and we know the problems that runs into. Maybe, within certain limits and with professional support etc, we could to be rather more entrepreneurial about the methods we use to stay healthy and possibly in healing approaches to certain disorders. The current system of inflexible guideline, which can well be based on dodgy data and drawn up by committees that appear to be less than independent, plus the refusal to investigate non-drug options in any serious or informed way (see a number of examples on this site) is the underlying problem. Good reply. Although I’m in favour of people with Insulin Resistance/Metabolic Syndrome/T2DM restricting their intake of over-refined sugars & starches, I’m concerned about a recent trend towards very-high-fat, very-low-carb (VHFVLC) diets. VHFVLC diets also don’t suppress Non-Esterified Fatty Acids, which increases the risk factor for Sudden Cardiac Death (a.k.a. Cardiac Arrest). NEFA’s also aren’t routinely tested. I’ve blogged about this as well, supported by evidence. If people consume foods as close to their natural state as possible, that’s usually sufficient to reverse many degenerative diseases of civilisation. The Rice Diet works by calorie restriction. Your starving body burns all the carbs, preventing them wreaking metabolic havoc. Calorie restriction has a lot of benefits. Problem is hunger. You can do it with LCHF without the hunger. If fat intake is taken too high on a LCHF diet, the problems I mentioned above will occur without people knowing, as the tests I mentioned aren’t routinely done. I’m familiar with the Newcastle stuff. The question is, does it last?. Does it persist after weight gain? The results of “Primary care-led weight management for remission of type 2 diabetes (DiRECT): an open-label, cluster-randomised trial” by Lean et al 2017 show that, provided subjects follow all 3 phases (total diet replacement (825–853 kcal/day formula diet for 3–5 months), stepped food reintroduction (2–8 weeks), and structured support for long-term weight loss maintenance) and maintained >15kg weight loss at 1 year follow-up, had a T2D remission rate of 86%. The answer looks like “Yes, it does”. Subjects who dropped out at various phases (because trying to eat healthily is difficult when Food Product Manufacturers use persuasive marketing methods & energy-dense, over-refined “junk” foods are everywhere) and didn’t lose any or regained weight had lower remission rates e.g. Walter Kempner’s rice diet is perhaps better described as a starvation diet. It seems that patients had to be whipped to stick to the regime: http://news.google.com/newspapers?nid=1876&dat=19971026&id=slMgAAAAIBAJ&sjid=pM8EAAAAIBAJ&pg=6859,6027332. This suggests to me that the diet is unsustainable – as Dr Garry Lee points out in his comments. Moreover, the 2012 BMJ paper ‘White rice consumption and risk of type 2 diabetes: meta-analysis and systematic review’ concluded that ‘Higher consumption of white rice is associated with a significantly increased risk of type 2 diabetes, especially in Asian (Chinese and Japanese) populations’. I’m sorry, but that’s not correct. See https://www.drmcdougall.com/wp/wp-content/uploads/kempner-compositionopti-300×245.jpg , an image from the link I posted above. 565g/day of carbohydrate is not low carbohydrate, and 2,400kcals/day is not low calorie. The 2012 JIN Study (http://apjcn.nhri.org.tw/server/APJCN/21/1/35.pdf ) showed that, although high consumption (>401g/day) of white rice had bad effects on FBG & HDL-c due to its high GI (Low amylose variety? Overcooking? ), it had good effects on weight & BP, and no statistically-significant effects on TG’s & Met Syn. Do you have a link to the 2012 BMJ paper? Sorry to see you heading down the path of character assassination typical of the trolls I’ve come across in many online fora about nutrition and health. Actually, I did my own calculations. According to Walter Kempner’s 1975 paper, the rice diet comprised 400-800 calories per day (not 2,400). The paper does not say how much rice and how much fruit this comprised – presumably to ensure a steady stream of visitors wishing to experience the personalised treatment. Let’s imagine 95% was rice. According to this: http://www.weightlossresources.co.uk/calories-in-food/pasta-noodles-rice/white-basmati-rice.htm , 75g of rice contains 262 calories. So we’re talking about 115g-230g of rice per day. The carbohydrate content of that is 89g-177g per day. At the lower end of this scale, it’s certainly below the 100g of carbohydrates per day recommended for a low carbohydrate diet. Of course, in the study, 95% was part rice and part fruit. Here’s an approximate table showing the calories and carbohydrate per ‘piece’ of fruit: http://www.weightlossforall.com/carbohydrates-fruit.htm . Apparently, it can be any fruit: http://www.everydayhealth.com/diet-nutrition/rice-diet.aspx . If the fruit is a melon, that’s 110 calories per piece so you could reach 800 calories per day with a 75g serving of rice and 5 pieces of melon. That would be 219g of carbohydrate overall. If it’s an apple, it would be 186g of carbohydrate. This is a bit higher than what one would normally regard as ‘low carb’ (eg less than 100g) but it’s still nowhere near the 565g / day you mention. Here’s a link to the 2012 BMJ paper: http://www.bmj.com/content/344/bmj.e1454 . Let me suggest an alternative hypothesis. As far as I have seen, no-one other than Walter Kempner and his associates has ever been able to replicate his dramatic results with the rice diet. The trial was uncontrolled and unrandomised. The patients and Kempner’s associates were (willingly it seems) subject to the threat of violence – to the extent that his death apparently only came to light after a week. That reminded me of this: http://www.bbc.co.uk/news/world-asia-india-26556395 . By all accounts, the rice diet made millionaires of Walter Kempner and some of his associates. In such circumstances, could the results of a such a study really be regarded as being objective, representative or replicable? I have my doubts. It’s hypocritical for you to go on to assassinate Walter Kempner’s character. Link to full study, please. I provided a link to a graphic from a study showing that both the “ordinary mixed diet” and the “rice fruit sugar diet” provided 2400 Cals, and that the “rice fruit sugar diet” contained 565g of carbohydrate. Thanks for the link to the BMJ paper. That paper illustrates the point I made previously about it being possible to make *anything* look good or bad by tweaking methodology and/or statistics. The graphic from that study http://static.www.bmj.com/content/bmj/344/bmj.e1454/F3.medium.gif normalises results from different countries to 1 at minimum consumption. The only fact that can be gleaned from that graphic is that consuming more of something increases the RR for T2DM. See http://perfecthealthdiet.com/2012/03/red-meat-and-white-rice-oh-my/ for an alternative view. As my reply to you containing 3 links is still awaiting moderation a couple of hours after posting it, and my reply to Dr Unwin got deleted, I think the time has come for me to stop commenting. Is weight (i.e. fat) regain to the point where the patient has T2DM again, inevitable? I would hope that patients on the Newcastle diet are instructed in healthy eating i.e. eating a diet based on home-cooked produce, with minimal over-refined/over-processed foods and treat foods restricted to special occasions. I believe that 8 weeks of Newcastle diet is better than a lifetime of LCHF eating, as LCHF eating doesn’t clear ectopic liver & pancreatic fat deposits and thus doesn’t fix the underlying problems (just like pharmaceutical management). I am a UK GP (now working in Australia) and I now have your diet advice sheet saved to my desktop at work, ready to print out and give to patients. A lot of people became interested in LCHF after the recent ABC Catalyst programme on low carb diets. I have had some great results with reduced weight and blood pressure and some of my patients have been able to come off their antihypertensives altogether. Keep up the good work! Thanks so much for letting me know you find the sheet useful The idea was to make the best use of what can be done with a single A4 sheet -If anyone reading this feels like improving on it – great have a go and share the result . I have been amazed by patients who take the sheet then turn up months later ,brain fog gone, belly smaller, BP improved and proud of their achievement. It doesn’t suit everyone but is a valid choice for many folk, particularly if they are happy to eat more green veg. Though have to confess the low carb approach makes some dieticians uneasy,feeling its a step into the unknown and of course it doesn’t feature in many guidelines. Our patients report weight loss, less brain fog, more energy, less allergies, less indigestion, less joint pains on a Lchf diet, and we see lower Hba1c and reduced doses of insulin and oral hypoglycaemic drugs. Now that you’ve made a distinction between ad lib LCHF (with no energy deficit) and calorie restricted LCHF, I agree that the latter probably does deplete ectopic fat deposits, but the former probably doesn’t. LCHF diets are often “sold” as “eat ad lib to satiety” diets, where calories don’t count. Sadly, Energy Balance always applies. Energy balance does apply and you can put on weight, but it’s dead easy to control the weight as long as you can surmount your addiction to sweet things. I’ve not had a single beer or cake or a sweet in a year. I find it very easy to have none. I don’t spend all day thinking of food as I would on low fat (considerable experience of that). Did you know that in comparisons LCHF is better than LFHC at clearing liver fat? It’s been done. Successfully going on LCHF is like taking a vow of celibacy. You won’t be very good at it if you visit brothels frequently! When I was an infant (a long, long time ago ), I was fed Farley’s Rusks (29% sugar), French fancy fondant iced cakes & Corona Lemonade. Suffice it to say, I had a very sweet tooth and was very chubby. My cravings for sweet things are not so bad now, but putting foods on a “never, ever eat again – ever!” list is pretty much guaranteed to induce disordered/binge eating. Luckily, I never acquired a taste for booze. In your cited study, 54% of the 75%E from carbs were simple carbs (sugars). Is it not obvious that there would be a large amount of hepatic DNL with such a high sugar content? I call shenanigans. The best way to lower insulin levels is to lower Insulin Resistance in liver, muscle & fat mass. This is doable. Hepatic DNL raises fasting TG’s, but a high-fat diet raises postprandial TG’s, which also raise the RR for CHD. As far as I know spikes in trigs after a high fat meal are rather short lived, rapidly stored (asp) and used for fuel if one is fat adapted. If my memory doesn’t fail me, Phinney / Volek have done some work on this. Carb driven elevated trigs seem to hang around for quite some time longer. Personally I would choose the transient trig peak over high values 24/7, which I think is pretty normal. One eats and the nutrients are transported and stowed away efficiently and quickly. Forcing the liver to make fat all the time as the last way out to get rid of unsuitable amounts of CHO doesn’t make sense. Of course being insulin sensitive is a good thing if there is plenty of food (glucose) for the brain, but once the system is sufficiently broken (prediabetes), by far the easiest way to reduce stress is to cut the carbs – all of them. And besides all of the above, only real food is to be consumed. Carb driven elevated TG’s apply to sugars, not starches (especially minimally-processed starches like veggies, legumes, rice & tubers). Don’t tar starchy carbs with the sugary carbs brush. That needs to be shouted from rooftops. Maybe someone should mention this paper from June in this discussion: ‘Dietary carbohydrate restriction as the first approach in diabetes management: Critical review and evidence base’ – Richard Feinman et al? http://www.sciencedirect.com/science/article/pii/S0899900714003323 . I’ve seen Volek’s YouTube video. I thought he claimed that PP TG’s improved by ~50% *after* *fat* *adaptation*. High-fat meals always produce higher PP TG’s than low-fat meals. I’m probably arguing a straw man, as your idea of “high-fat” is probably different from my idea of “high-fat” (≥80%E from fat). Also, there are carbs, carbs, carbs….& carbs (all with different effects on BG & TG synthesis) and there are fats, fats, fats, fats….& fats (all with different effects on TC, LDL-c, HDL-c etc). Researchers with an agenda can tweak methodology & statistics to make anything look good or bad. There are a lot of bad cherries out there for picking! It appears that fat behaves in two ways. One is the way we have evolved to deal with it, i.e. eat lots with little carb, or at least almost no high GI carb. In this circumstance the TG’s do not elevate if eaten with protein as they nearly always are. If eaten alone in a big bolus and/or with carbs they can be higher, but the driver appears to be the carbs. I’ve read hundreds of articles in the last couple of years (I’m retired) and I don’t reference them as the knowledge is for me only. Being of a scientific bent I always like to get to the root of a matter. I would judge Volek as being totally straight. He’s done a huge amount of research step by step. What other people find is pretty well universally in agreement with him. The people who don’t like his stuff (lots of them) just ignore him and hope it’s going to go away. I (probably like yourself) read very widely around a topic, like anthropology, comparative anatomy and all that stuff. I’ve read some of Stansson’s stuff etc etc. As regards not eating cakes etc., I’ve never had bulimia and so on but was a smoker in my time and can vouch for the fact that quitting cigarettes is 10 times as difficult as giving up sweet things. My approach to them is that I’m going to treat myself with something delicious which is allowed. Like mixed Greek Yog and whipped cream with blueberries, or various cheeses which I love. It works. People always compare the addictiveness of sugar to cocaine. I’m sure they’re right, but we were taught that cocaine is not really that addictive. Heroin is much worse. Sure is Nigel, but after reading what you have to say, it is only the high fat folk who do the fudging, all the low fat evidence is on the level, all the low carb evidence is just plain wrong, according to what you have been blogging. We have a doctor here, treating his patients, with a method that is giving his patients good results, there bloods are showing good result, which is the way all patients are tested, even on low fat or mixed fat/carb diets, this brave man has gone out on a limb for his patients, to make them well, and they are feeling well. But along you come, Nigel, pouring cold water all over what he is doing, just can’t understand your negativity, and your determination to outwit evryone who does’t agree with your piont of view, hey we could all be wrong, maybe the good doctor is right, maybe there is more than one way. cheers. I’m not trying to “outwit” anyone. I’m just presenting evidence. 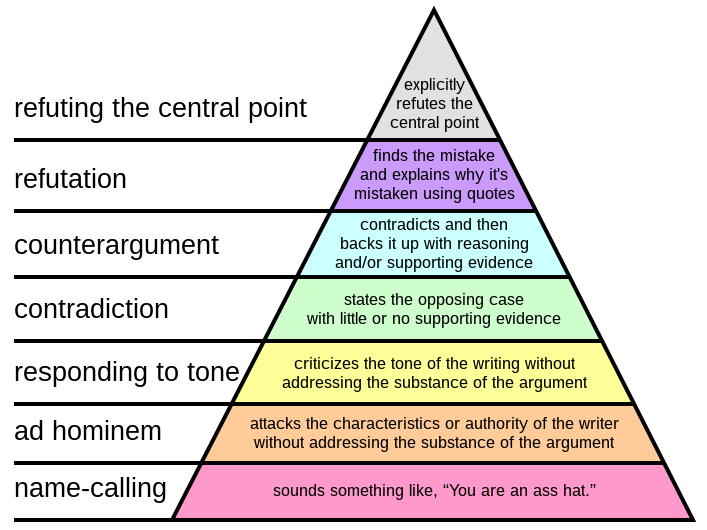 If you have superior evidence to mine, please post a link to it, as I want to know the highest quality evidence. Richard Feinman kindly left a comment! There is a difference between trigs in a non-carb restricted meal and an American meal. In a carb-restricted meal with high fat, the post-prandial trigs AND fasting trigs improve. Jeff Volek et al have shown this. Nigel is guilty of picking bad cherries (a new metaphor is born)! That is the sin which bedevils nutrition. e.g. if you eat a high fat meal you get rise in BP etc etc., BUT if you eat as people eat, high fat with a good bit of protein, as Ray Winstone would sigh, i’ don’t ‘appen. The same can be used wrongly on our side of the fence (the low carb). The Chinese used to eat a high carb diet, but it was low in calories and that completely changes the picture. Oops! I must have clicked the wrong “REPLY” button, as my reply to you has appeared as a reply to Obhi. Once again we see a doctor giving out incorrect nutritional advice – he seems to actually have no idea of food values – he was corrected on the forum by a member about the carb content of cheese! The claim is that the diet is low carb but looking at the diet plan is it really! This Youtube Video of Jeff Volek speaking earlier this year is worth a look. Nigel, at 12:00 he discusses post-prandial TG and they found a 50% reduction on lowcarb diet. This is the YouTube video I previously watched. VLCVHF dieters have a 50% lower Area Under the Curve (AUC) for PP TG’s compared to LF dieters *for* *the* *same* *meal*, as LF dieters have reduced fat oxidation in skeletal muscle (due to having increased carb oxidation, due to having more muscle glycogen). As fat enters the circulation via the subclavian vein (unlike protein & carbohydrate, which enter the liver via the portal vein) and is carried around in chylomicrons, the AUC for PP TG’s is directly proportional to the fat content of the meal. Therefore, a meal containing 2g fat has one tenth the AUC for PP TG’s compared to a meal containing 20g fat. It’s misleading for Volek to imply that VLCVHF dieters eating VLCVHF meals have 50% lower AUC for PP TG’s than HCLF dieters eating HCLF meals. Dreon D & Krauss R also mislead with their studies showing the bad effects of “carbohydrates” on LDL particle size, by using a 50:50 mixture of sugars & starches. I appreciate the benefits of LC diets, but I’ll expose bad science when I see it. Well now, whatever about that fine point, I’ve heard another scientist say that if you want to create milky serum with a meal, you feed the patient carbs rather than a LCHF meal. (May have been Krauss) I think you may be overinterpreting this matter. At any rate, you can interpret JSV’s presentation as there not being something worrying in eating fat. I’m working on a theory which started to form in my mind this morning when I was cycling. If I work it out, it could explain everything like lipids, insulin, inflammation etc. It’ll probably come to nought but… I’ll let you know if I get somewhere. You may be thinking of Pete Ahrens. That’s certainly what he demonstrated in the 1950s … . Note the latest blog post by neurologist Dr David Perlmutter: ‘Low carb, low diabetes risk’ (http://www.drperlmutter.com/low-carb-low-diabetes-risk/). He refers to a study published in 2007 in the American Journal of Clinical Nutrition which had followed 85,000 people over 20 years. I looked at the study he mentions but the authors conclusion seemed to be that the low carb diet doesn’t increase the risk of diabetes rather than anything about the risks of a high carb diet Have I got it wrong ? It was a rather involved study or at least the write up was complex -for me at least ! Bear in mind that the write-up of the study starts with the presumption that the American Diabetes Association’s recommendation of a low fat diet had been scientifically proven. This and the conclusion of the paper are ‘politically correct’ but not necessarily all that the data revealed. As Dr Garry Lee says, and as Dr David Perlmutter points out, the study actually showed that a low carbohydrate diet reduced the risk of diabetes. As the study was carried out over 20 years with a large, well controlled population, the reliability of this observation is statistically very high – more so than the flawed epidemiological studies which have been the sole basis for the enthusiasm for a low fat diet for decades. Now, the weakness I see in the study is that its sample was only women (predominantly white nurses who were representative of the US nurse population in 1976). So it could be argued that the results only apply to women. Still, that’s at least half the world ;-). Note that there are apparently several hundred women who are taking legal action in the US against statin manufacturers based on a study which showed a higher incidence of diabetes among women who had been prescribed statin drugs. This feature article by Dr Richard Smith in the BMJ ‘Are some diets “mass murder”?’ might interest you: http://www.bmj.com/content/349/bmj.g7654 ? Well done, Dr Unwin. Your patients are fortunate. After 20 years of quite strictly following the low-fat diet I did some research and found out how poor, almost fraudulent, its scientific basis was. I abandoned the carbs and went low carb. To answer your much earlier question, within a couple of weeks of making the change I had a real surge in physical and mental energy. My explanation is that I’d been steadily denying my brain essential fats on the low-fat diet. I was surprised to find literature linking the low-fat diet to anxiety and even depression. I do think that is interesting. As for salt, I found I needed to add some to my diet after my insulin level dropped. The reduction in water retention reducing my salt level and it needed replacing. I have no fear of salt after reading a number of articles, including Dr Kendrick’s. I believe Gary Taubes stated that the reduction in blood pressure on a low carb diet was due to the loss of excess water. Here’s some real science on diabetes and nutrition to gladden the heart. Dr Unwin, I think the following paper will interest you and anyone else interested in diabetes and diet. The paper is called ‘Dietary carbohydrate restriction as the first approach in diabetes management: Critical review and evidence base’. The article is dated January 2015. There are a number of distinguished authors beginning with Richard D. Feinman and Wendy Pogozelski. This is from an organisation called Blood Pressure UK and references a recent article of mine in the Daily Mail which describes some recent findings involving nitric oxide. Making sure you drink a couple of liters of water a day is also recommended, as is taking regular exercise. Look at the book I co-authored – Food is Better Medicine than Drugs – for more specifics, such as adding the spice curcumin (found in turmeric) which also relaxes arteries, lowering blood pressure. I’d recommend seeing a nutritional therapist to give you a more informed account and help you keep on track. Following this basic advice will certainly improve your general health and you can keep tabs on what it is doing to your blood pressure by regularly checking it. A Cochrane collaboration report in 2004, I think, stated that there was no relationship between salt intake and high blood pressure. As a GP in Australia, I have never seen any difference in BP between high and low salt users. The guidelines, tablets of stone and about as flexible, say, nay, command, that all hypertensive patients must have a low salt diet, recommended at less than 6 grams/day. When people who are sick go into hospital, they are given an IV infusion of normal saline, possibly 3 litres/day. By my calculations, that is 27 grams of salt/day. Must be something wrong somewhere. Cardiologists I have spoken to seem to ignore it. Thank you for this post, I have gotten here late but the information is valid still. Our medical director Dr.David Morris also advocates a low carb diet. Also, he suggests gentle exercise and increasing this exercise slowly. And a key ingredient is nutrition in the form of EasyBetic a supplement we supply specially formulated for blood sugar support. Would you like me to send you some to evaluate on your patients? It is a vegan supplement that many are having positive results with. Have a look – we would be interested to collaborate. My own grandmother died from diabetes type 2 complications 20 years ago. Treatment has changed drastically since then. I need advice and can’t get anything useful. I had breast cancer 7 years ago and diabetes for 3 months, blood reading 72. I was given Metaformin but even though I reduced the dose to 1/4 of recommended, my stomach felt as though it was eating itself, so I dumped these and just did without much food and no starchy stuff.The first three months was terrible, no energy to walk much, but now I can sit and eat double cream by the crate and walk 10 miles. The result was a one stone loss in weight and a blood level of 44 in 10 weeks. My doctor was very peeved, why I’ve no idea.Walking just gets rid of sugar and not eating from 6pm seems to do the trick.What worries me is that animal fat is very bad for breast cancer, hormones. Above my pay grade I’m afraid – advice about animal fat and cancer and hormones. Given the demonisation of fat for so long, however, and given doctors, especially those involved in cancer, lack of knowledge about nutrition, let alone effects of different fats on different hormones, it is possible there isn’t a problem or if there is would be useful to know what level of risk etc. But you need a proper nutritionist to guide you through that one. Have you tried their organisation BANT? Metformin would be seen as an ideal drug because not only is the standard diabetes treatment but it is generally accepted as having an anti-cancer effect. It is known to cause stomach upset in some – you are obviously one of them – it is also known to cut vitamin B12 absorption – you might have your levels checked if you have been on it for a while. So sorry to hear of your diagnoses and so pleased for you that cancer treatment went well. I have been attempting to make sense of your interests, level of knowledge, concerns, and needs. Of course all I have to go on is your comment. An observation I can put to, and that you that you may not have realised, is that you have made early and tentative steps in the direction of ‘health science’. The fact that your BG has stabilised and that you shed a whole stone in weight is entirely down to your initiatives and not your doctors guidance. Your doctor probably hasn’t encountered the term ‘health science’. He or she would likely rush to presume that medical science equates to ‘health science’. Indeed in many ways it does. However through not getting its emphasis right, through being insufficiently naturally oriented, and through not retaining sufficient regard for the truly scientific principle of cause and effect medical science has taken its eye off the ball. Health science and medical science are not in full accord. You have your experience, and I have eight years of study to see where health science holds the high ground. The thing that most intrigues me is that you intimate you have heard of a link between cancer and diets rich in animal fats. Hormones and chronic hormonal disruption; yes, probably. Animal fats? ; Not sure. It would help if you could elucidate and indicate what news items or references that you have in mind. I am with Jerome on this and concur that animal fats have been maligned to such an extent (wrongly in respect to heart disease) that nothing we encounter should ever be willingly taken at face value. The way you worded your comment has me wondering what faculty you hold your professor ship in. I do have some directions ready for you – dots to place on the page if you like – and several come from a Holmes-ian (as in Sherlock Holmes) direction. They take inspiration from the kind of clues others tend to overlook. When the dots are linked in the way that logic appears to justify they seem to me to make for a clearer picture, however it is early days. So try to share with us what you had in mind. In which case I may be able to comment on strengths and or weaknesses inherent to the source(s). There are so many reasons to consider that animal fats are good for animals that I would need some convincing of the link you hint at. The only thing you may need reminding about is that we humans are, in fact, animal to the core. If you can find organic proper meat that should take care of the hormone problem. Read the book Wheat Belly Total Health and check out Dr Davis’s Facebook page. Also check out Dr Perlmutter Grain Brain. Both of these do tors are pretty approachable. I’ve reversed my diabetes type 2, lost almost 3 stone, my cholesterol has improved and I can walk out as my osteoarthritis, diverticula and IBS no longer bother me. I’m also no longer incontinent, have more energy than I ever thought I could have and sleep better. I’m doing hflc and I never want to touch processed carbs and starches again! I’m 59 and going to help groups of older people like myself. I tell those i help to get their gps to Dr Unwin’s area on dietdoctor.com if they’re dubious. Luckily my doc was for it. I feel like a miracles happened!